It is so great when relatives share family photos. I am very thankful for their generosity. Today I want to share two different photos of my grandmother's brother, Perry Solomon Bond. The first one was shared with me by cousin Dave Howard. This photo was cropped from a photo taken at the home of Austin Bond, Perry's uncle, about 1906. In 1906 Perry would have been 25 years old, as he was born 18 Feb 1882. He was the oldest son, and 3rd child of 5 of John Howard and Mary Ann (O'Neal) Bond. He was born in the Creswell area, Lane County, Oregon. When he was about 12, the family moved to Lone Rock, Gilliam County, in north central Oregon. The 1900 census listed Perry's occupation as sheepherder. In about 1905 Perry and his brother Roy moved with their parents back to the Willamette Valley, in the Halsey area of Linn County. It was about 10 years later when the four of them moved farther south to Glide in Douglas County, Oregon, where they purchased a prune ranch. But that wasn't all Perry found there, for he married Frances Smith 27 May 1916. His brother Roy married her sister Grace in 1917. 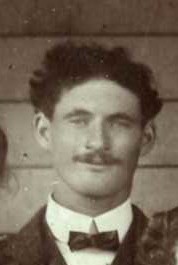 Perry's mother died in 1918 and his father in 1919. Apparently he continued to work on the fruit ranch as he was listed there with his wife and children on the 1920 and 1930 censuses. But he did do some moving around as he was listed as a farmer in Junction City, Oregon in the 1921 city directory. By the 1940 census they had moved to Klamath Falls, Oregon, and the census indicated they had been living in Roseburg in 1935. At the time of his death, 5 Jun 1969, Perry was living in Springfield, Oregon. Perry and Frances had 5 children, 2 sons and 3 daughters: Helen, John, Edith, Mary Jane, and Dale. His obituary stated that he had 23 grandchildren and 39 great-grandchildren. His descendants may remember him as he appeared in this photo of Frances and Perry in their later years, which was shared with me by cousin Robert Bond. Why am I writing about William Henry Bond for week 7's theme? It's because I “love” the fact that his land is shown on a land ownership map. I suspect this theme is due to Valentine's Day. So that would be romantic love. But the word love can have different meanings. I asked Google to define love and received three answers: first 2 nouns and then a verb. So I have decided to use definition 2, because I have a great interest and pleasure in learning about all my relatives. Therefore I have chosen William from this week's “Aunts & Uncles Birthday Calendar” (https://www.joanneskelton.com/ui32.htm) to share about today. William Henry Bond was my great-granduncle, an older brother of my great-grandfather, John Howard Bond. William was born 15 Feb 1847, in Iowa, to Solomon and Huldah (Hayes) Bond. I found him on the 1850 census as a 3 year old living with his parents in Marion County, Iowa. He would have been 6 years old in 1853 when he participated in the great adventure of traveling in a wagon train to the Oregon Country over the Oregon Trail. It was the next year when his parents settled a 320 acre Donation Land Claim at the edge of the current city of Halsey, Oregon. Since Halsey had not been established yet, the 1860 census listed William, now 13, in Pine Precinct, Linn County, Oregon. Before the next census was taken, William married Sarah C. Kirk, 17 Oct 1867. The marriage record shows that the wedding took place at the home of William's uncle, Seth Whipple Hayes, who lived nearby. 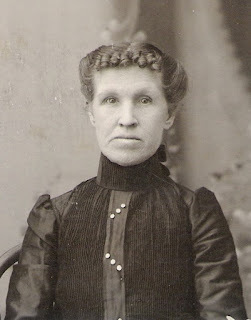 Sarah was the oldest daughter of Madison and Elmira Kirk who probably came to Oregon on the ”lost” wagon train in 1853. In 1860 their family was living in nearby Brownsville. At the 1870 census William and Sarah were located in the Peoria Precinct in Linn County (this was the same area which was called Pine in 1860) with their oldest child, Jasper. The 1880 census for William and Sarah has been a mystery to me, since I have been unable to find them there. In 1880, Sarah's widowed father, Madison, was living in Centerville, in Umatilla County, Oregon, in the northeastern part of the state. The United States government issued a patent on 15 Aug 1882 to the heirs of Madison Kirk for a 160 acre homestead in Section 22, Range 34 East, Township 4 North, which was the approximate location of Centerville, about 12 miles northeast of Pendleton. 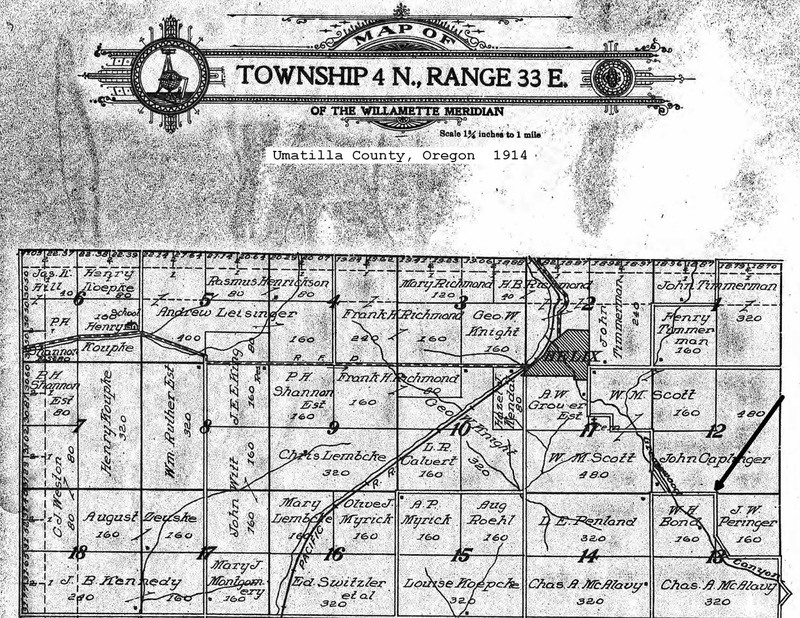 William Bond received a patent 10 years later, 10 Jun 1892, for a 160 acre homestead in Section 13, Range 33 East, Township 4 North, which was about 1 mile southeast of the small town of Helix. This would have been less than 5 miles from the Kirk homestead. This is what was shown on the land ownership map of Umatilla County, from 1914. William and Sarah were enumerated on the 1900 census in Helix Precinct, Umatilla County, Oregon, with their 23 year old son Elmer and 2 younger children, Hattie and Royal. 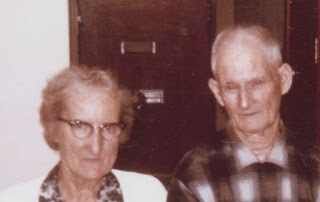 Their oldest son Jasper was then in Monticello in Cowlitz County, Washington, and their daughter Susan was married to Lewis Shipp and living in Alta Precinct in Umatilla County. I did find them in them in the 1910 census, still living in the Helix Precinct, with their youngest son Royal, now 14. Their daughter Hattie and her husband James Cushman were also living with them. Susan was now a widow with 2 young children as her husband had died 26 Jun 1909 of tuberculosis and she had moved to Dalles City in Wasco County. Then Hattie died of tuberculosis on 5 Nov 1910, leaving a baby son Ronald. It was about 3 years later when William died, 10 Aug 1913, at Long Beach, California. Because he still owned the property in Oregon there was a large probate file in Umatilla County. As no will was found, it was an intestate file and the papers list his surviving heirs: widow Sarah Bond, Helix; daughter Susan Shipp, Long Beach; son Royal Bond, age 19, Helix; and grandson Ronald Cushman, son of now deceased daughter Hattie Cushman. Susan, Royal and Ronald each were granted an undivided 1/3 interest in the homestead, subject to the dower interest of the widow, Sarah Bond. I also “love” it when there is a large probate file to read. These are Valentines from my husband's collection. He received these many years ago from some of his cousins. When I looked over the “aunts and uncles birthdays” for this week I wondered how I could choose one of them to fit the theme surprise. I decided that Mary Victoria was the closest I could find that might have had an element of surprise. She was the older sister of my great-grandfather “Lafe” Smalley, the first child of John Wilson and Rachel Ann (Hemphill) Smalley. Mary Victoria was born 5 Feb 1857 in Adams County, Ohio. I have wondered if her middle name was in honor of the Queen of England. Victoria had been the queen for about 20 years when Mary was born. Mary Victoria would have been 4 ½ years old when her father enlisted to fight for the Union in the Civil War in the fall of 1861. But near her 5th birthday it appears John may have come home since he was listed as AWOL from February 1862 until August 1863. However he had to go back and be placed in confinement for awhile, until was finally mustered out in October 1864. When Mary was about 10 years old the family moved north to Clinton County, Ohio, then when she was about 15 years old they moved west into the western part of Illinois. She was just 20 years old when she married Myron Curtis Morey on 25 Feb 1877. In about 1878 the newlyweds moved to Nebraska, then it was probably in 1889 they moved again, this time to Sherman County Kansas, with the 6 older children: Oscar, Anna, Dennis, Dessie, Herman and Milton. One more child was born, Jay, in 1893. 26 Jan 1902 when Mary was remarried to a widower who lived nearby, Nathan Elias Albertson. It was this marriage which caused what might have been a surprise. Nathan had 5 children from his previous marriage, so Mary was now a step-mother. When one of her step-sons, Oran Jesse Albertson, was married in 1906 it was to Lucie Rachel Smalley. Lucie was the daughter of Mary Victoria's brother, so Lucie was a niece and step-daughter-in-law at the same time. Then when Oran's family moved to Oregon in 1911 how did Mary sign her letters to them: grandma or aunt? Mary died 15 Apr 1916 near Edson in Sherman County and was buried in the Goodland Cemetery using the name Mary V Morey, on a double stone with her first husband. Her obituary claimed: The funeral, which was held in the Christian church, was said by old settlers to have been one of the largest, if not the largest, ever held in the city. 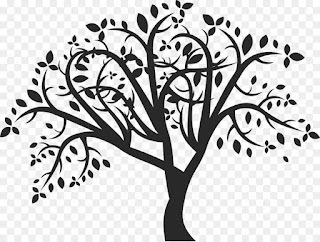 When I was beginning my genealogy research over 30 years ago I learned that almost one-fourth of my ancestry came from Quakers as my paternal grandfather was born into a Quaker family. My second cousin shared with me his findings about our Quaker ancestors. The local genealogical society library (Cottage Grove, Oregon) had books with Quaker information, so I used them to compare to my cousin's research. The local genealogical library had the 6 volume set of books: Encyclopedia of American Quaker Genealogy by William Wade Hinshaw. Later I learned that Mr. Hinshaw was a distant cousin of mine. On the aunts and uncles birthday calendar for this week, I found my 2nd gt-grandmother, Sabina (Marsh) Albertson's brother. William Marsh was born either on 25 January 1816 from Ohio records or 1 February 1817 from Indiana records. His parents were Elias and Edith (Townsend) Marsh. This was in Columbiana County, Ohio, apparently in the part of Columbiana County which later became Carrol County, since records in Indiana show the latter as his birthplace. I was able to find the Marsh family in Volume IV, Ohio, of the Hinshaw books. The books are arranged by the local meetings and Elias and Edith were reported married at the New Garden Monthly Meeting located in Columbiana County on the 17th day of the 7th month in 1810. Then in 1822 they and their children, including Willliam, were granted a certificate to transfer to the Sandy Spring Meeting, which was also in Columbiana County. The Sandy Spring records show the birthdates of Elias and Edith and their 8 children, including William. This record shows the January 1816 date. It was a dozen years later, 1834, when Elias's family moved to Indiana. My local library at that time did not have the Indiana records, as Hinshaw's books do not include Indiana. However, there was a set of 7 books of Indiana Quaker records edited by Willard Heiss. The genealogy society in Eugene (about 20 miles from me) did have these books in their library, so I took a trip there. The Elias Marsh family were granted a certificate to Duck Creek Monthly Meeting in Henry County. Indiana. They were probably among the members who were included at Walnut Ridge Monthly Meeting of Rush County, when it was set off from Duck Creek in 1836. Elias' family is named with birthdates in the Walnut Ridge minutes. It is there that the February 1817 date is used. I found it interesting that the only birthdates which differed between the two listings are my 2nd gt-grandmother Sabina and this uncle William. But it also made me remember that published information can be incorrect and you need to find as many pieces of evidence as you can. Still sometimes you will not know which one is correct. It was at the Walnut Ridge meeting that William married Martha Ann Chappell on 21 December 1836. William and Martha had six children: Thomas, Edith, William, Elias, Margaret and Benjamin, who are all named in the Indiana book. Note that I did a post about one of these children in 2017: https://joannesgenealogyresearch.blogspot.com/2017/06/quaker-cousins-elias-t-marsh-1848-1926.html. The Walnut Ridge record also lists the death of William on 12 October 1861, stating he was buried at Westland Meeting. This meeting house was in Blue River Township in Hancock County, Indiana. 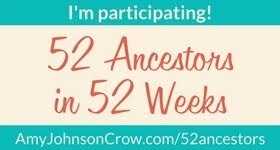 Next week's theme for 52 Ancestors is At the Library. Yesterday, 25 January 2019, I was working at the local (Cottage Grove Oregon) genealogical society library on my regular Friday shift. During the time when no patrons were there to help, I decided to work on my project for our society's displays coming up this summer and fall. We are choosing various members of our community to research and create a display about. I had chosen the J. I. Jones family because my husband and I at one time owned the house called the J. I. Jones house and I had already done some research on that family. One of the items I had collected was a manuscript written in 1976 about the Jones family done by Lillian Lewis Coffman, a niece of J. I. Jones. On page 20 Mrs. Coffman stated that the only descendants of C. H. Jones (J. I. Jones' father) who were then living in Cottage Grove were her sister, Lela Ward, Lela's daughter Mildred (Mrs. Cecil Safley) and a grandson. The Safley name drew my attention. When I first started to work at the local museum, my supervisor was Isabelle (Safley) Gates Woolcott. Do you suppose she was connected to the Jones family? But I also knew that one of my second cousins, Kathleen Albertson, had married a Safley from Cottage Grove and they were said not to be related to Isabelle. So did I have a connection to the Jones family through that cousin​? Thankfully our society has drawers and drawers of file folders of clippings about our local families filed by surname. So I checked the Safley file folder. After reading a number of obituaries and other clippings I discovered that Kathleen's father-in-law, Rodney Safley, was a brother to Cecil Safley who was married to a Jones' descendant. So one of my relatives on my father's side of the family does have a connection to the Jones' family as her children have cousins who are descendants of C. H. Jones. But as I continued reading I saw another name I recognized. Rodney and Cecil's father, Joseph Safley, died in March of 1944. The newspaper included names of out-of-town relatives who had come to his funeral. Among this listing was Joseph's sister, Mrs. Margaret Meadows and her three sons and their families, who lived in Florence, Oregon. One of these sons was Williams Meadows. His wife was Beverly Isom, my second cousin once removed on my mother's side of the family, so her children would be my third cousins. But these children also have cousins who are descendants of C. H. Jones, because their father, Wm Meadows would have been a first cousin to Cecil who was married to Mildred, a Jones' descendant. 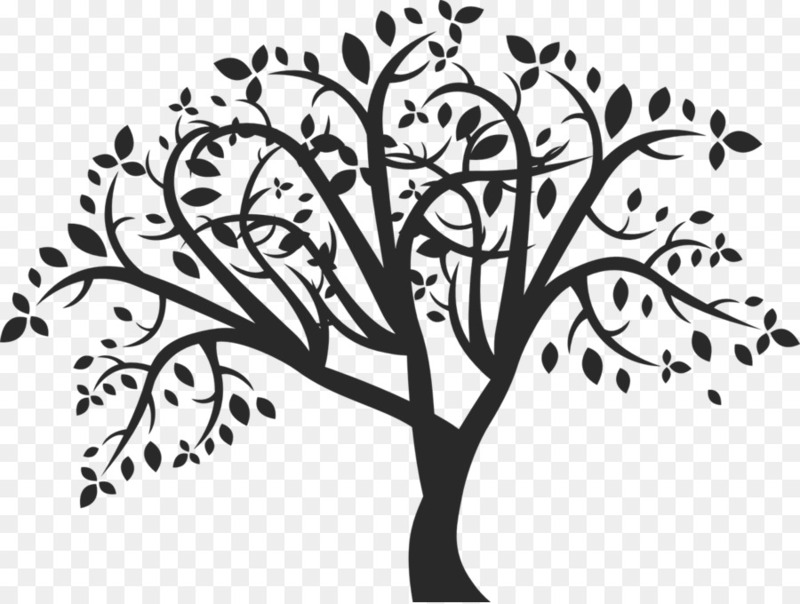 Thus, although I am not actually related to the Jones family, I have some cousins on both sides of my family who are and I can claim a connection. This week's theme is “I'd like to meet.” I looked at the birthday calendar and chose “Uncle George.” His birthday probably was not during this week, but I am unsure which day in January it was, so decided he would be my subject. George Washington Bond was my 2nd gt-grandfather, Solomon Bond's older brother. They were less than 2 years apart in age, so I expect they spent time together. George was born on the frontier, in northern Kentucky, just 201 years ago in 1818, the son of John and Sarah (Chastain) Bond. While he was still quite young, in about 1822, the family moved to Indiana and then in less than 10 years, about 1829, they moved again to Illinois. It was there on 1 March 1838 that he married his 1st cousin, Elizabeth Stillwell. I wonder if they were warned that there might be a problem with marriage to such a close relative. By 1840 George and Elizabeth and many of their relatives were living in Iowa Territory. As there were 2 males aged between 20 and 29 in the household, I expect that George's older brother William was living with them there in Jefferson County. After the Baptist Church of Knoxville in Marion County was organized in 1845, Elder G. W. Bond was one of the first ministers there. Uncle George and his family were living in Iowa when it became a state in 1846. In 1847 his younger brother, James, traveled with his wife and family as a missionary to the Oregon country where he was accidentally killed in 1849. When they took the census in 1850 in Marion County Iowa, Uncle George listed his occupation as Missionary Baptist preacher. I would have liked to hear one of his sermons. George and Elizabeth had 5 living children at that census. Two of these children, Ben Frank and Sarah, were marked as deaf & dumb. It was probably in the next year that George's grandfather, Solomon Bond, died as his will was recorded in 1851 in neighboring Mahaska County. But one of my favorite things about Uncle George happened in 1853. He and Elizabeth and their 5 children, as well as George's parents and many, many other relatives, including my 2nd gt-grandparents, traveled over the Oregon Trail to the Willamette Valley of the Oregon Territory. I am especially thankful that Uncle George kept a journal of that trip, writing one line per day, He used many geographical references, so I was able to follow their journey on a map. Uncle George Bond truly was someone that I would have liked to meet. It also includes a link to my transcription of the journal entries of the trip to Oregon.